Interest groups that have hitherto shaped disaster policies are too small, too limited in scope and too impermanent to effect meaningful long term improvements. A major expansion of public involvement is called for. 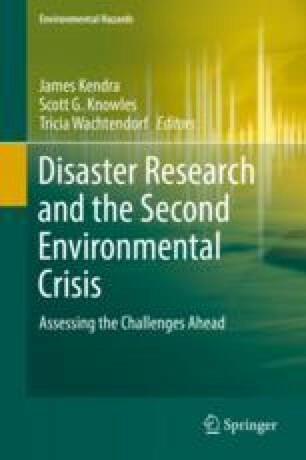 This chapter identifies three progressively larger groups that are differentially affected by disasters – the permanent, fluctuating and latent constituencies. Each of these has the potential to grow in different ways that, collaboratively, can create a revitalized basis for action capable of addressing the challenges that lie ahead. Leichenko, R., & Thomas, A. (2012). Coastal cities and regions in a changing climate: Economic impacts, risks and vulnerabilities. Geography Compass, 6(6), 327–339. https://doi.org/10.1111/j.1749-8198.2012.00495.x.